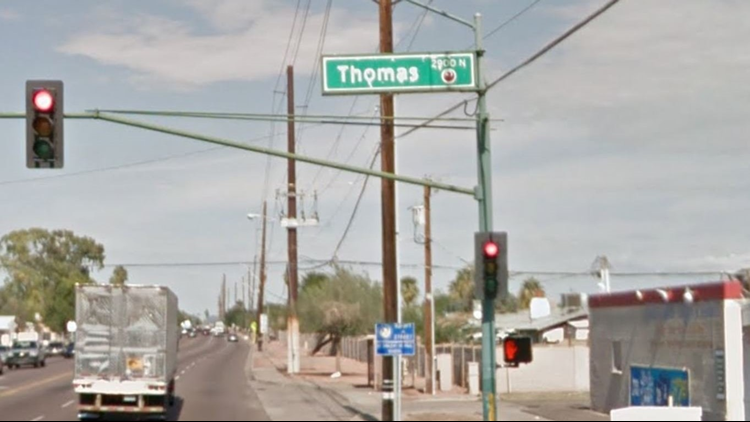 Is the Phoenix heat causing street signs to melt? You know it's toasty in Phoenix when we're all looking forward to that "cool down" in the seven-day forecast when the high temperature is expected to drop below 110. But, is it getting hot enough to melt street signs? You know it's toasty in Phoenix when we're all looking forward to that "cool down" in the seven-day forecast when the high temperature is expected to drop below 110. Plain and simple, it's been hot -- record-breakingly hot. The city experienced one of its hottest days ever in recorded history on the first day of summer, setting up what should be a steamy season. But, is it getting hot enough to melt street signs? That question surfacing thanks to a recent Reddit post. 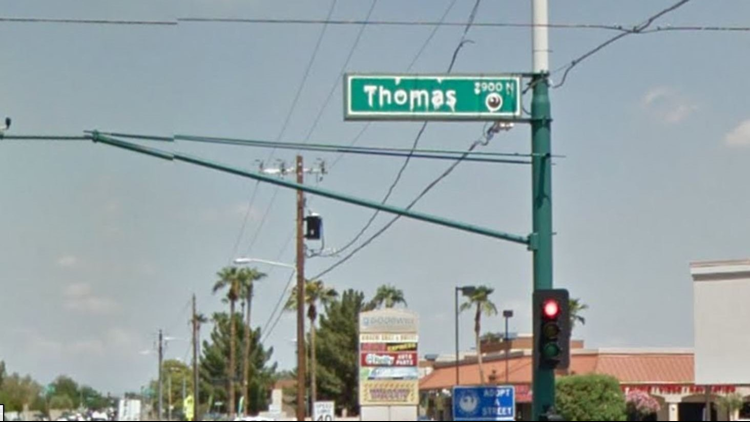 In the post, a user shared a photo of a Thomas Road street sign in Phoenix.The sign clearly showed signs of deterioration. The caption read: "When it's so hot in Phoenix, even the street signs are melting." It's a post that sparked nearly 1,000 comments worth of, and we're paraphrasing here, OMGs and "why the heck do people live there?" responses. This is actually amazing. And we are just going about our days like it's not an actual version of hell. It boggles my mind how anyone can live in Phoenix, how anyone could have even considered building a community there in the first place. It's true. I just got back from Phoenix yesterday and I couldn't believe how nonchalant everyone was. I felt like the world was ending and saw death at my doorstep just getting gas. We thought we'd go ahead and verify the photo in an effort to maybe calm down the heat hysteria a little. A quick trip down Thomas Road in Google Earth shows several intersections signs showing similar "melting" marks.